Unfortunately or fortunately, I think I'm a city cat. I was only born in a small town and after ten months of being born, I was taken to Bombay and after that it was only cities.I did live in a town called Thiruvarur for two years before Goa but that place sucked my zest and vitality Presently, Goa seems to be a small town in comparison to the cities that I have lived. Small towns are definitely charming and the relationship between people seem to be quite familiar and relaxed but inspite of all that I like the pace of the city - the convenience of everything under one roof and the modes of transport. All said and done, I loved the way you grew up and enjoyed your formative years. Another interesting post, Vinita! I was born and brought up in Kota and we lived in a colony and it was the same childhood as yours. After marriage, moved to Mumbai and stayed there for long 8 yrs and then have traveled to Lucknow, Jammu, Jaipur, Jodhpur... and according to us, small towns are the best. People are warm, you get to spend quality time with family and friends, commuting time is maximum 15-20 minutes... and since the towns are progressing, you have almost everything that is there in a metro! Any day, small towns gets my vote! LP, I can relate to you reminiscing at several levels. The fruit bearing trees, the fragrant plants, childhood games, the well known neighbours and shopkeepers, and then the pain of all that being replaced by glass and concrete and strangers. You just pushed my heart into a time travel! This was so nostlagic. I was raised in a small city called Bhopal. Now I c malls springing up but it lacks the charm of the Gali markets. 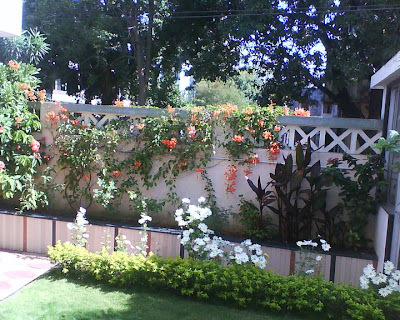 We also had trees and garden around our old house with migra,papaya,custard apple, anar and the likes growing. Now I stay in the concrete jungle where I dnt even knw my neighbours. Ahh yes Mumbai people somehow have that in their blood. They get restless when they are in a small place. Most of them don't know what to do with excess time on hand, which they usually spend in travelling in Mumbai. I love the small town feel but don't deny that I too get restless sometimes when there is not much to do. Thanks Shilpa :) I agree people are not suspicious and you actually get time to spend with your loved ones. Yes now even small cities have all the amenities of a big town so I do crave to go back home to the familiar places. I am glad I did :) It is not bad to reminisce. It warms up your heart. There is simplicity and friendliness that I miss in the big cities. @ Redhanded Yeah that is exactly how I feel..the concrete jungle is so impersonal. We hardly know our neighbours or even socialise with them. I was blessed to be born in an even smaller town Lonavla. Though it is commercialized now, there is a sense of belonging because you have an identity there. I like it when I walk on the streets there and most people recognize me even though its been years I left the place. There are and will no longer be any small towns..Every inch of land is being commercialised.But,there are advantages of being in small towns. Really speaking,what is importnat is the company one has,friend,relatives. I do I do! Only mine was a company town - Neyveli - so the people you knew are retired and gone. But, thankfully, a lot of my school friends work there as does my brother and I get at least a dose of that life once a year. Yeah, you touched on a favourite topic of mine! 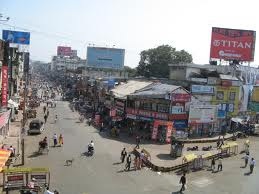 I come from a small steel township of Bengal, Durgapur. The feelings are exactly the same here. The familiarity of the small town , the fun of being lazy , the entire town feeling like an extended family and of course, the sense of ownership are all the same. And of course, the new developments have taken away a lot of these feel good factors but it still feels nice and warm when I happen to go back there. Yes yes yes ! I too was brought up in a small town..in fact smaller than Nagpur :) A place called Bhilai in M.P and there are so many memories of bungalows, gardens, streets, markets you name it.. even power cuts :) when I used to enjoy sitting in the garden watching the stars.. I dont know whether to be sad or happy that now we have generators and inverters ! I was born and brought up in Delhi but I always loved the visits to my nani's place which was in a small town. The life was laid-back and there was so much time to spend with myself. It is a different life. Small towns give you the time for a laid back life. Plus the sense of community is stronger. I know Bhillai. Yes small town life has its wonderful times. I guess with the changing times, even small towns have to change. I agree Corinne, the laidback life, the familiarity with roads and places. That adds up to make some wonderful memories which people who grow up large towns miss. What you say is true Chowlaji. I feel that us small towners were always comfortable about knowing our neighbours and sharing our lives with them. This is not there in big cities. 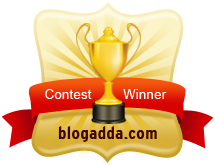 Visited your blog for the first time.. I grew up in a small town as well called kharagpur in West bengal which apart from its IIT has always been slow and time invariant. I dont even remember my weekends there because i used to stay at home only, unlike today when we can't even think abt going out somewhere in a group for dinner or a movie. I spent my whole school life there before we shifted to Kolkata. But the after effect of growing up in a lazy town has stayed with me and will for ever. Hi lp..I have been here earlier o guess...non the less loved your post. 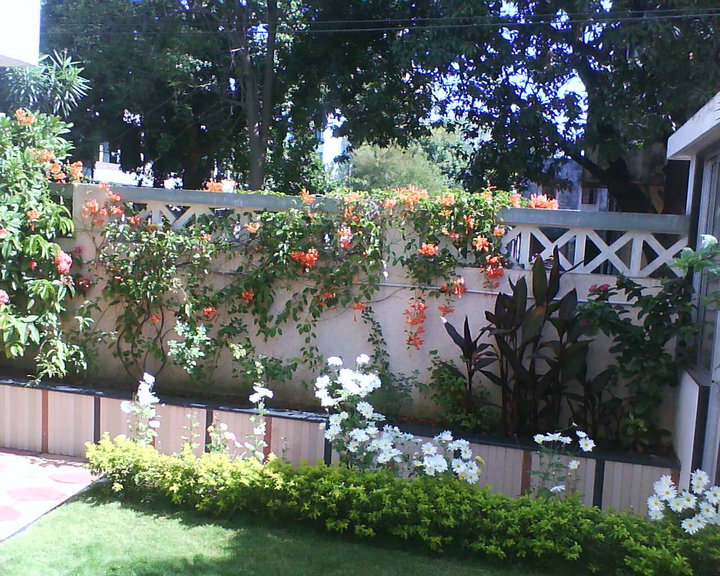 I am from nagpur too...and we have a bunglow which had lovely plants all around. .The summers went in playing ludo and chess with siblings. .it was a fun time. We had the tv long before it was in every household ...so we had lot of friends watching the Saturday evening movie on dd! Love to recollect the memories. ..great post..